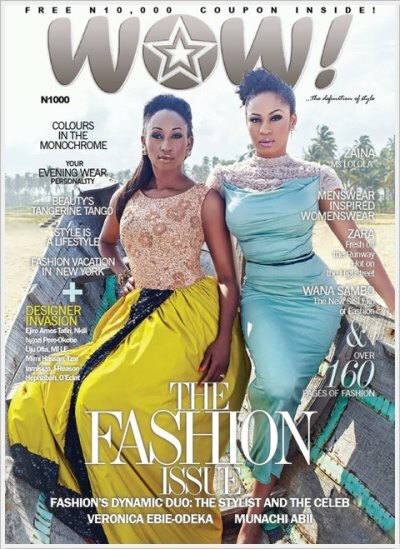 Ex Beauty Queen Munachi Abii and celebrity stylist Veronica Ebie-Odeka cover the new issue of WOW! Magazine. Fierce!